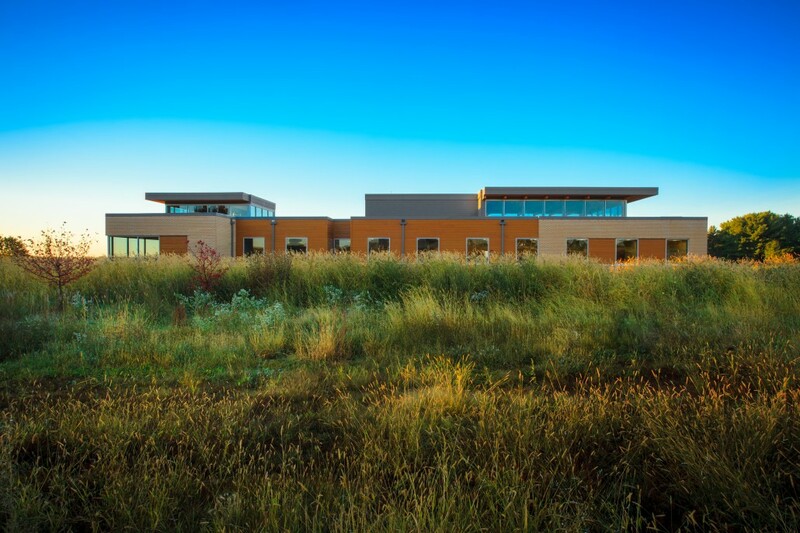 Potter Lawson designed a new free-standing 9,200 sf clinic in Waunakee located on a highly visible greenfield site along Highway Q. 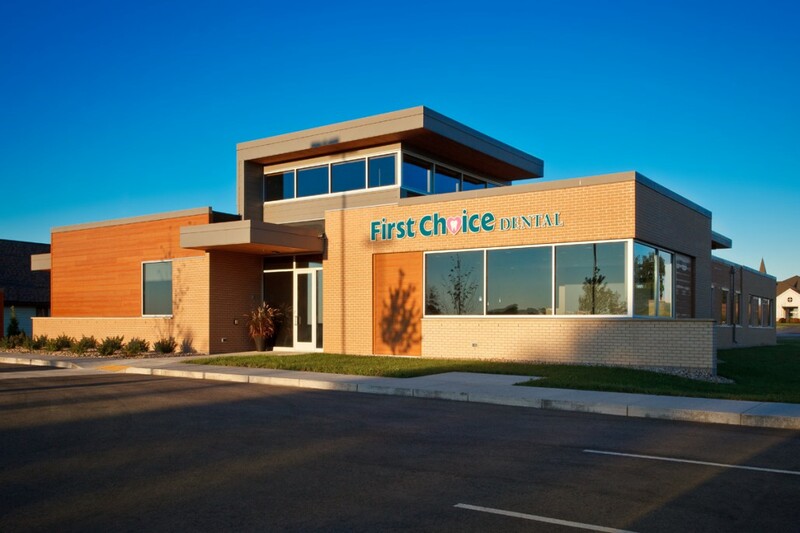 The new 9,200 square foot dental clinic needed a strong presence, while also fitting into the rural multi-use subdivision where it is located. Clerestory windows at both ends give the building additional height and also provide daylight and volume in the interior corridors and entry which helped achieve a strong presence from the exterior. To ease the fear and uncertainty that many have when visiting a healthcare clinic, windows at the end of treatment corridors allow for views out and serve as a wayfinding mechanism for patients. 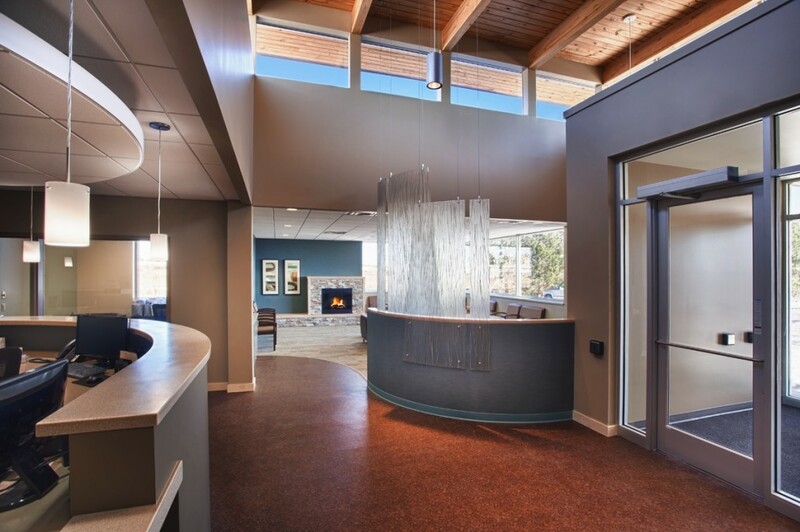 The clinic includes a large check-in/check-out desk and an adjacent waiting lounge, patient consultation rooms, and 16 state-of-the-art operatories. The support spaces for staff are designed for optimum efficiency. This clinic also has a spacious boardroom, staff break room and locker area, business office and a partial basement. The daylight-filled waiting lounge has wonderful views to the north and east, with a view of the Wisconsin Capitol dome. The lounge has a fireplace and different seating options, giving a cozy café vibe rather than feeling like a waiting room. 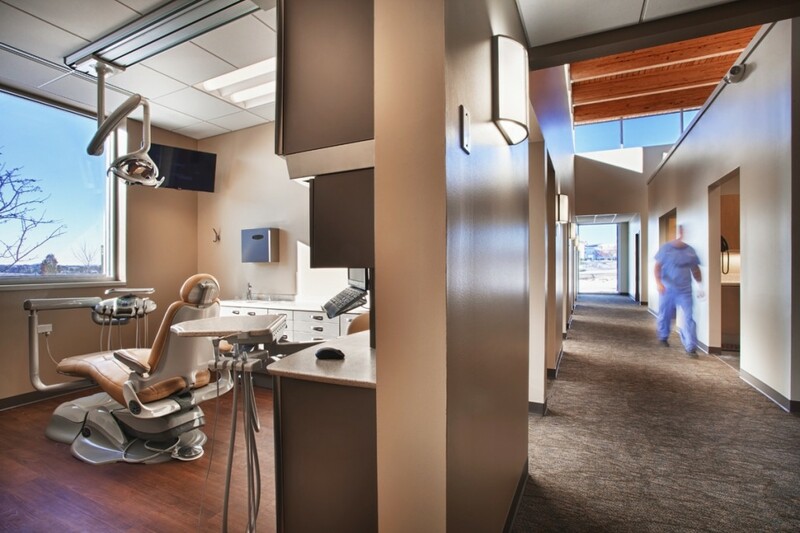 The interior materials throughout the clinic are inspired by the natural environment, but are durable and easy to maintain. Along with the views, the building is positioned to take advantage of the optimal sun angles for the operatories. The north-facing operatories having the ideal daylighting conditions and the operatories along the south are easy to control with shades.